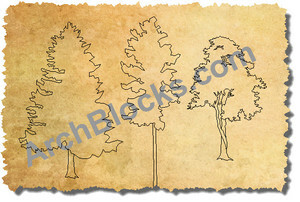 If you create CAD landscape plan projects, this is a great plant material CAD blocks library. 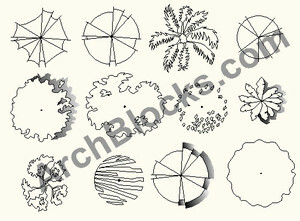 There are 67 plant material symbols in this CAD blocks library for landscape designers. 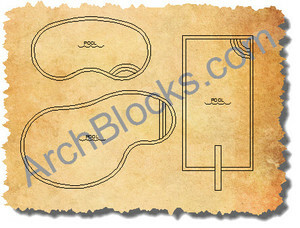 This library is 100% original and you will only find it here at ArchBlocks.com. 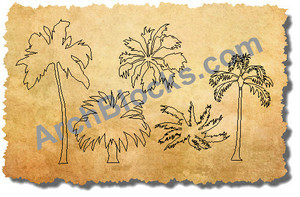 Also included in this set of CAD plant material symbols is a set of plants with shading to give your landscape plans more depth. Most landscape plans use generic plant symbols to call out specific plants, and there are several generic CAD plant symbols in this library. As a bonus this library also includes specific symbols for roses, climbing roses, vines, climbing vines, palms, and catus plants. 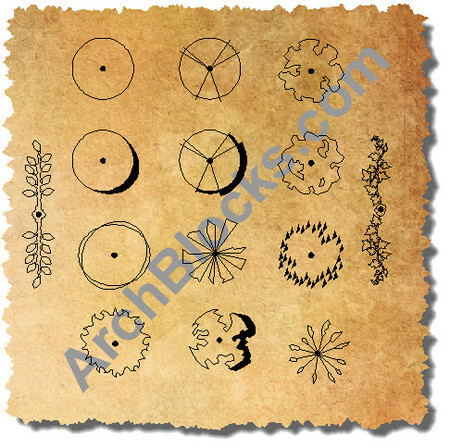 Most of the symbols are drawn to a 24" diameter and can be scaled in AutoCAD to any size. This CAD library also includes a plant legend so you can quickly create a plant list in your AutoCAD landscape plan drawings. 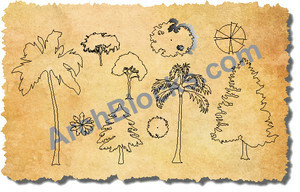 This legend includes columns for each symbol, botanical name, common name, size, quanity, and a section for notes. This legend can scaled to be bigger, or smaller, columns and rows can be added, or removed to fit the specific requirements of your landscape plan project. The are 67 CAD plant material blocks in this AutoCAD block library. This AutoCAD block library is compatible with ALL the newest versions of AutoCAD, back to the AutoCAD 2000 version.